When passengers board the aircraft there is almost an unanimous wish that no baby be seated near about them. 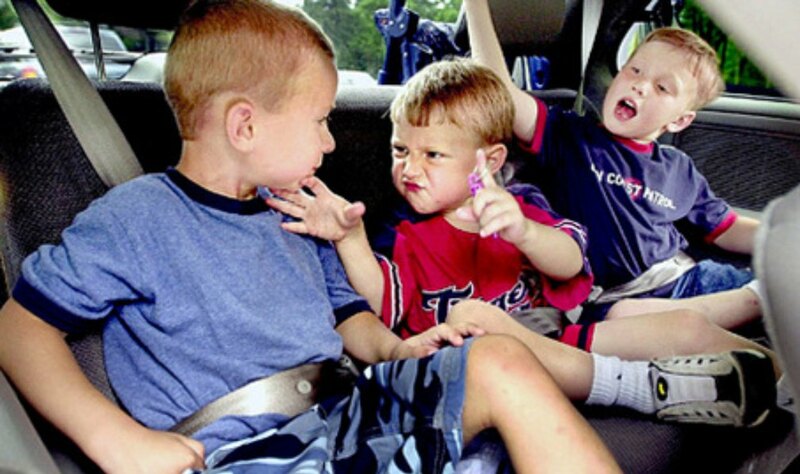 Not that they don’t like babies but because babies tend to get cranky and when they do then there’s no stopping them. The sound level in their crying is unmatchable and even the aircraft drones and other conversations get drowned by them. Of course, this act of theirs cannot bar them from travelling but yes, there are ways that can be adopted to make life easy both for the toddlers and for the passengers travelling in the aircraft. Arrive early: It’s always a good idea to reach early at the airport prior to the departure time of your flight. The check-in and security processes do take a bit of time. You need to have the toddlers milk and foods all packed in a manner that you can quickly hand them over to the TSA personnel for checking, in case required to do so. This way you get free from these formalities early and if there happens to be a play area for children in the airport, you can take a breather there. Extra Packing: It’s always advisable to carry 3-4 extra diapers and wipes if you are taking a long duration flight or if you have to change aircraft’s en route to your destination. Needless to say but a few zip lock bags or disposable bags would come in handy. In the flight not much baby food or milk is available particularly if there are more infants on board. So do pack extra milk and baby food items not forgetting the special tasty snacks that your toddler loves but avoid the sugary ones. Plan Your Schedule: If you plan your flight schedule as per your baby’s sleeping time then half your tensions fly away. It makes it easy for you if your little one is a bit drowsy and ready to take a nap when you are on board otherwise the unfamiliar surroundings in the aircraft may make him/her real cranky. Some toddlers get pretty upset and unsettled suddenly seeing so many strange faces around. Layers: Though the airline provides blankets and pillows on board take an extra precaution in carrying your own blanket as it helps in the cushioning aspect also. Carry extra layers for the infant as well as for yourself as the baby does tend to mess things up. Medicines: You should not forget to pack certain medicines for the toddler. In the flight, the child may suffer from fever, colic or teething pain. Acetaminophen and ibuprofen are a must and Benadryl can also help, especially to assist with sleep. 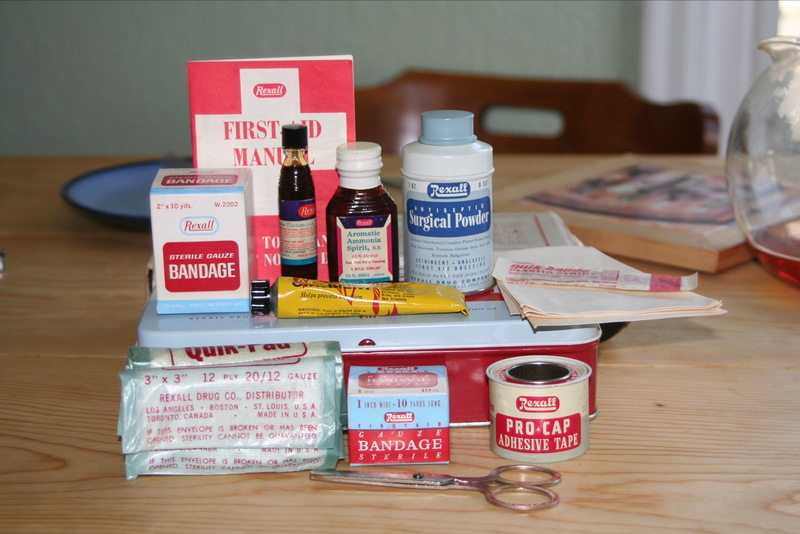 But in advance, take a doctor’s advice on how to administer these medicines. 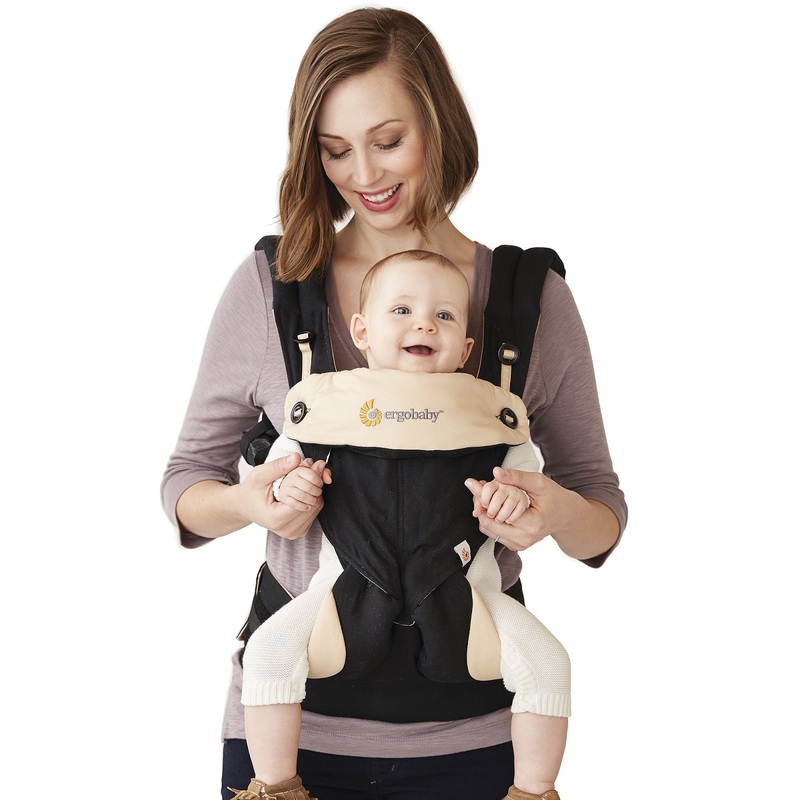 Before Boarding: Another item which is of immense value is the sling or the baby carrier. 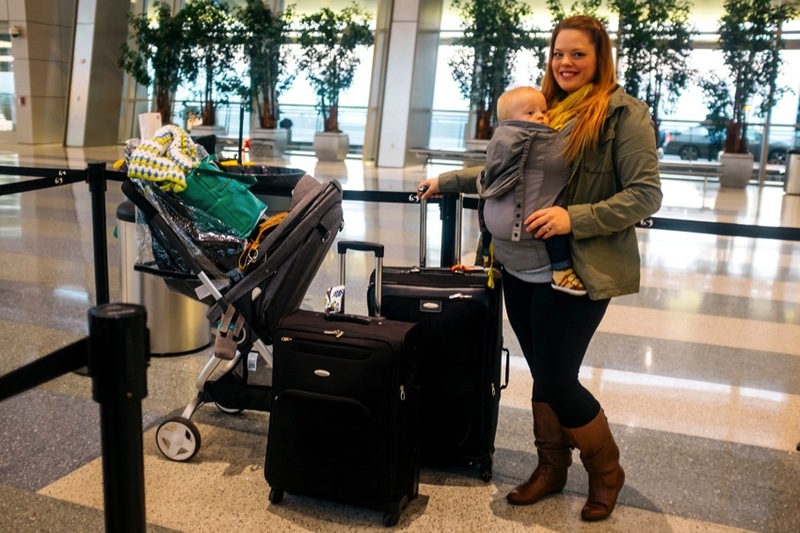 When you hand over the stroller to the airline personnel before boarding this baby carrier becomes real handy as it keeps your hands free while carrying the baby. Changing the diaper prior to boarding is also a good idea as a dry one keeps the little one more comfortable and is a key to his sleep. Also allow the toddler to take off his steam so that he is a bit exhausted from his endeavors and is in a mood to rest by the time you are seated. Accept Assistance: Do not hesitate to take help from fellow passengers or airline personnel when checking in your bags or handing over your stroller or when having to put your carry-on in the overhead bin. They all understand and will not have any qualms in easing you out. Getting Ready: Once you have boarded its best that you settle down as quickly as possible. The diapers, zip lock bags, food items, milk and juices, story books, etc, are placed in a manner that you face no difficulty in picking an item out as and when you need it. If you leave them in the overhead bin it will be quite a bother for you to retrieve them from there. Seat Choice: When travelling with an infant the choice of the seat is very important. You must make a choice of an aisle or window seat. The middle seat will be a bother for you as well as your neighbors. The window seat has an advantage that you can use the hand rest and the window area as a support. The aisle seat creates more room as the aisle area is open space and also provides minimum discomfort to the neighbor. Avoid the bulkhead as there being no seat in front of you deprives you of a storage space. You will have no alternative but to keep your baby stuff in the overhead cabin and this cannot be accessed during landing or take-off. 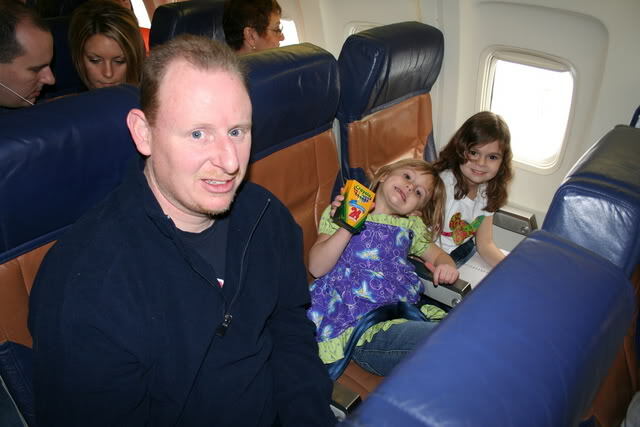 Keep The Toddler Comfy: During take-off and landing it’s advisable that the infant be given a bottle of milk or juice or breastfed as the activity of sucking precludes its ears from being affected by the change of air pressure in the cabin. During the course of the flight snug it up and read the baby a story or whisper sweet little nothings into its ears. If that’s not enough for the little one then involve him with some toys or gadgets so that he remains occupied. This way your flight will be a smooth and peaceful one.